Dr. Winarsky was so nice and so helpful during my appointment. He made me feel very comfortable and was just verypersonable and very good at listening to my concerns and issues and offering me different methods of help. I barely waited maybe 5 minutes before he saw me. I would certainly recommend. Dr. Winarsky was so nice and so helpful during my appointment. He made me feel very comfortable and was just very personable and very good at listening to my concerns andissues and offering me different methods of help. I barely waited maybe 5 minutes before he saw me. I would certainly recommend. I can't say enough about Dr. Winarsky! He has an excellent bedside manner, explains everything so you understand your diagnosis.He was able to diagnosis my condition & provide treatment that corrected the issue. He also was able to see me right away & get me in for my treatment asap. I wish there were more doctors like Dr. Winarsky! I can't say enough about Dr. Winarsky! He has an excellent bedside manner, explains everything so you understand your diagnosis. He was able to diagnosis my condition & provide treatmentthat corrected the issue. He also was able to see me right away & get me in for my treatment asap. I wish there were more doctors like Dr. Winarsky! 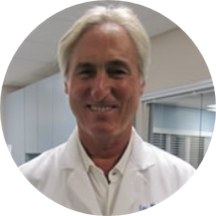 A knowledgeable ear, nose, and throat doctor, Dr. Eric Winarsky is certified by the American Board of Otolaryngology. He received his medical degree from the Université de Liège Faculté de Médecine. He then completed an internship and a residency at Monmouth Medical Center. Furthermore, he also completed a fellowship at University Hospital, Newark. Dr. Winarsky holds active membership in the American College of Surgeons, American Academy of Otolaryngology–Head and Neck Surgery, and the American Academy of Sleep Medicine. He is a compassionate practitioner, who believes in educating his patients about their health for long and short-term benefits. Dr. Winarsky caters to the sick at Hackensack Meridian Health Medical Group in Tinton Falls, NJ. He is also affiliated with Riverview Medical Center. He is deeply committed to the well-being of his patients. He takes a thorough and precise approach to his consultations to ensure that he is consistently giving accurate diagnoses. No issues - initial visit. Todays visit was a complete success. I love the new office and would follow Dr. Winarsky wherever he goes. He is just wonderful. I have complete confidence in him and enjoy his doctor/patient relationship - bedside manner. Dr. Winarsky is very professional, he explained everything thoroughly. I was pleased with the front desk & was taken into the exam room right away. Fantastic doctor & office admin & beautiful space.